What's fun to do in Hungary or Croatia? I'm off there in a week with a pal. We've got a fortnight, flying into and out of Budapest. We'll probably get out of Hungary fairly quickly, and spend most of the time travelling through Croatia to Dubrovnik. Is there anything not to be missed? slovenia is fun! and on the way! tho if i remember, it's strangely difficult to get between them... hmmm. eat beef goulash. i ate goulash tonight! Dubrovnik is worth a stay of a couple of days. Lovingly restored with UN grants. Part of the deal restricted brand avdertising in the shops and cafes, so the main street doesn't look too touristy. I would also recommend Split. A Roman city (the palace of Diocletian) with lovely winding streets. If you have time, Croatia is great for island hopping. The ferries are cheap and regular. Try Korcula, Hvar & Vis. All are lovely, perhaps Korcula most of all. From Dubrovnik there are several cheap tours you can do. 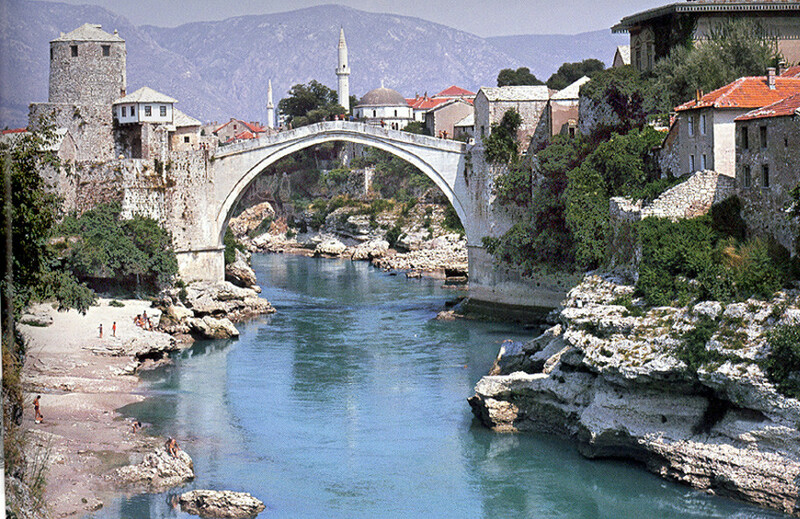 The day trip to Serbia and Montenegro is excellent and you can also get to Mostar in Bosnia to see the restored bridge. In the north of Croatia, Pula has a great ampitheatre and the town of Rovinj is one of the loveliest on the Adriatic. If you make it here, you can also get the bus to Piran in Slovenia, another beautiful port town. I don't know Hungary so well, but preferred Buda to Pest. The island in the Danube (St Margarets?) is great for walking. Don't forget to see St Stephen's mummified finger in the cathedral and shine the horse's knackers in Buda. I'm not sure if it's still there, but after the fall of communism, all the statues of the Soviet leaders were moved to a park on the outskirts. Worth a detour. If you are in Budapest, go to the Labyrinth under Buda Castle. It's great in a manufactured weird kind of way. Statue Park is still on the outskirts of Budapest... or was last November. In Buda Castle there is a great engraving of some guy presenting a model of a proposed cathedral to the King. The King looks like he is saying "What is this??? A Cathedral for ants???" Walking round the city walls is also good. After you've gone to the labyrinth under Buda Castle in Budapest, nip across the road to the Gellert Hotel and have a bath. It's lovely. The attendants in the women's side are fearsome, though. And afterward, have a beer on the terrace. Drink a Dreher, and I'm saying that because it's yummy beer, not just because it's the brewery my dad works for. Hell, have a couple. Go on. stop by Hvar island (close to Dubrovnik) and spend at least a day in Split. 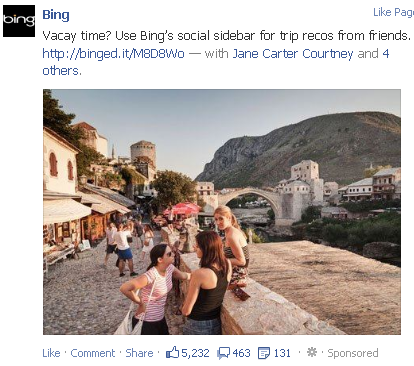 Hell, if you're in Dubrovnik, you could even do a little tour to Mostar in Bosnia. The drive is amazing. Getting drunk and forgetting where your hotel is located. Drunkenly asking for assistance. Trying to describe a city street that you can't quite recall, in sufficient detail to spark recognition in a random inhabitant of the town. Discovering aforesaid random inhabitant has very poor English skills, however eager they are to assist you. Trying to find your hotel through aimless wandering. Looking for taverns that are still open at 2am, so you can sit for a while and have a drink as you ponder your fate. we couldnt find our digital cam so the only camera we had on the trip was this fujifilm instapix--it weighed like sixty pounds and only took good pics w/ a lot of sunlight--but luckily we had a lot of sunlight. Ahhhh it is the most beautiful place on earth. Where u going? if you have time, I would recommend Eger in eastern Hungary, known as the "city of churches" it has a single mosque dating from Ottoman times, which looks extremely lonely amongst the spires which surround it. Also known for being the home of Tokay, aka Bull's Blood wine! - zagreb is pretty boring, at least during the daytime, we stayed two days and two nights and would have been just fine with one day and one night. - dubrovnik is absolutely beautiful, the most gorgeous place ive ever been. are you guys staying in b&b/pension-type places? it costs more to stay in the city walls but theres no real reason to do so, most of the bars in the walls get clogged with horrible australians. theres a famous bar thats on the rocks right outside the city walls--cant remember what its called but its in all the guides--its twice as expensive as any bar in croatia but is kind of unreal in terms of the view + you can swim right off the rocks there. ari and i spent 8 hours there one afternoon just watching the sunset and getting drunk on sweet wine. - its totally worth taking day trips out of dubrovnik to the islands surrounding it--mljet in particular, which has an amazing national park with a beautiful lake for swimming and nice easy strolls. we also went to lopud which at the time had a pretty cool olafur eliasson installation, dunno if its still there. - in budapest you have to, HAVE TO, eat at this little hungarian jewish place called fulemule, check out the menu here -- http://www.fulemule.hu/ -- nothing but duck and goose, the owner is so fat so you know its good, has a kind of checkered-tablecloth italian place vibe but seriously i had one of the best meals of my entire life here. o wait are you a vegetarian? worth breaking for this place imo. been trying to get there for years, starting to feel like i'll never make it. are you flying in to Zagreb? It's worth spending a day in. flying into dubrovnik, wasn't planning on spending any time in zagreb, heard it was a bit lackluster? Pula in the north is also great. The town itself is OK, but there are Roman-era ruins everywhere. Zagreb's horrible, I wouldn't bother, virtually everywhere else I've been in Croatia is nicer. If you get the chance it's worth going to Zadar as well, which is a fantastic Roman city and has an awesome sea organ plus massive solar panel installation. Good nightlife and amazing sunsets as well. 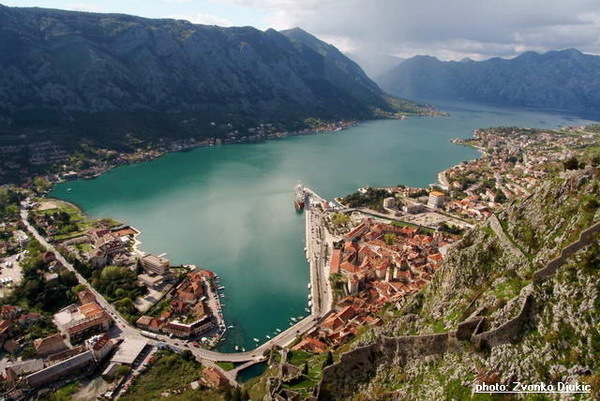 I second Kotor. Bosnia is great as well if you've got time. You can pay local youths to jump off that bridge while you watch and eat fish. Man I loved the Balkans, have to go back. I didn't find much going on in Zagreb but I was mostly there on a Sunday, so that may be why. I really loved Plitvice national park, I very much recommend it... though in August it'll likely be rammed from around 11am onwards, so staying in one of the hotels in the park and getting in some early visiting before the tourist buses arrive is a good idea, if you go. i stand by basically everything i wrote to grady above. korcula is beautiful, though stick to the old town side of the island, mljet is even prettier, split is charming and has great roman ruins. you cant go wrong. watch the sunset every night. sorry to spam another thread but i just self-published a booklet of photos i took in croatia, bosnia, and hungary. its mostly photos of the three dudes i went there with, but it came out pretty good. you can order it here. oh this should go without saying, but stay out of Budapest's many strip clubs. Anyone been to Dubrovnik lately? Still a good destination? Yeah that was what I was worried about! My partner works at a school so we're tied to taking holidays in mid-July to mid-Aug. Wondering if there's anywhere Croatia/Slovenia/ish that's pretty and relaxing and not full of holiday drunks. Lake Bled looks pretty. But hard to tell if it's mental or just average crowded in midsummer. I've heard good things about Lake Milstatt in Austria. Dubrovnik is packed during the day and relatively quiet in mornings and evenings. In season, a vast proportion of the visitors are cruise passengers who clear out at about 4pm. If you want to have an incredible diverse holiday with minimal travelling then Slovenia is one of the best places you can go. Lake Bled is busy but the place is astonishingly beautiful - I went there in the height of the summer and it was busy but by no means overwhelmed, there are plenty of quieter bits where you can lounge around and swim etc. Bled -> Ljubljana -> Piran would give you a lot of variety and Piran itself is a beautiful little coastal town with a decent beach. In Croatia - Zadar is wonderful, Split is OK but gets very crowded, I guess Dubrovnik is even crazier. A lot of the smaller islands would be great as well. That’s great to know, thanks! Did you need a car or is it ok for trains? We did all of Slovenia on trains, it's a very small country and you can head up and down it with ease. You are genuinely better off getting the bus in Croatia, or a ferry if you're heading up and down the coast. The trains take a long time and don't go any further south than Split. Soča Valley in Slovenia is beautiful, quite relaxed even in summer and great for hiking into the mountains if you're into that. Probably requires travelling by bus if you're depending on public transport though. i regretted not renting a car in rural slovenia, though trains and buses around population centers were very effective. Enjoyed Dubrovnik last May, it's tourist-y for sure but we were there before the real busy season kicked in. Taking the ferry to Lokrum for an afternoon was the highlight, probably. Matt DC, we've basically part-pilfered your holiday: Ljubljana > Piran > Bled, and then up to Lake Milstatt in Austria. Thanks for the tips - I was having one of those "there's too much choice" panics about what to book and that was really helpful! Going to Debrecen on thursday for the Bela Bartok Choir Competition. Then a couple of days in Cluj and Sibiu in Romania. Any mustsees in those areas? I know a lot of Romanian classics are shot in those two cities, but it's probably tough to drag my fellow choir members to a concrete monstrosity that I saw in that one film that one time. Right, then. 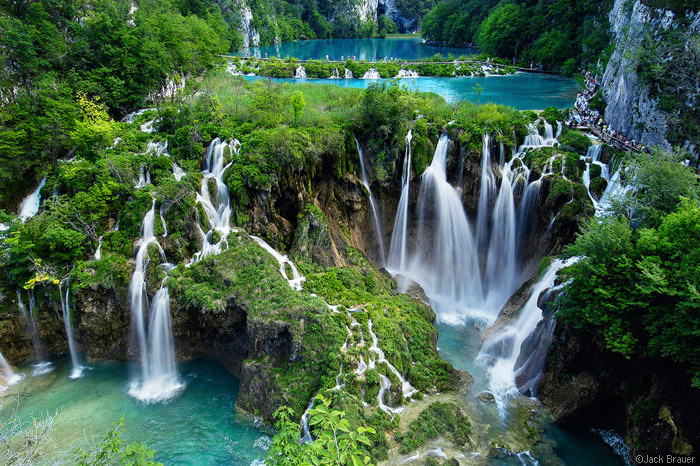 Croatia in June for less than £500 per person (two people) from the UK. Any ideas? I'm not sure about the budgetary constraints but when I was there we stayed in cavtat the first night, seemed like a nice enough little semi-contained resort town with decent swimming and some restaurants, and a lot of fancy yachts. dubrovnik definitely worth a visit though eating within the walls can be expensive. split was great - good fun watching people play picigin on plitvice beach at sundown. 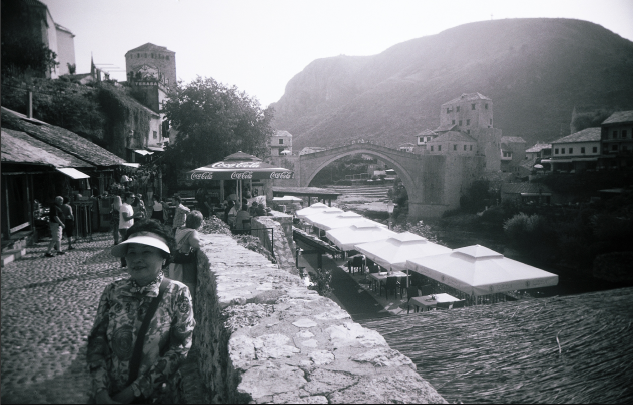 we day tripped to mostar (in bosnia-h) from dubrovnik too which was worth doing.